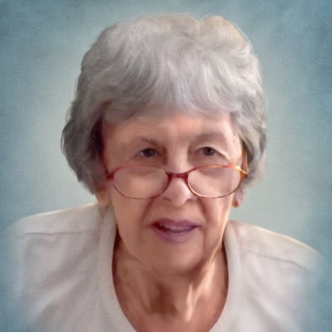 Eleanor G. (Broderick) Connolly, 93, of Bristol, wife of the late Benedict J. Connolly, Sr., passed away on Monday, March 18, 2019 at Bristol Hospital. Eleanor was born on August 20, 1925 in Bristol to the late Thomas and Mary (Halloran) Broderick. Eleanor was a parishioner at St. Gregory Church, Bristol. Eleanor was born and raised in Bristol CT. She had her Bachelor of Science and Teaching Certificate from Connecticut Teacher’s College. She received her Master’s Degree in Education from the University of Connecticut. She taught all ages throughout her career and she loved her work as a teacher. Elly, as she is known to her friends and family, loved everything about teaching and placed such an emphasis on education, but most importantly she loved the children she taught. She has kept every memento and gift ever given to her by her students. Elly gave everything she had to her family, as they were the most important people in the world to her. She would never talk about herself, but she would light up when talking about the people she loved. You could feel her love of her family by every memory she had of them, which she shared freely and with adoration. Her heart burst with pride with every memory she recounted, and she had a unique way of telling a story about each of them that would have you smiling and laughing. Every person in her life mattered to her; there was no one who escaped her notice or admiration. She could vividly recall almost every moment of the lives of the people she loved with such adulation and clarity. When she spoke of those memories, her face would light up with excitement and energy. Ben and Elly spent every summer in Cape Cod, where they had built a home where the door was always open to her friends and family; everyone was welcomed. She always wanted to be around her family both in Cape Cod and CT and was always just down the street from the people she loved. She is survived by her son Benedict J. Connolly, Jr. and his wife Lisa of New York and many nieces and nephews. In addition to her husband and parents, she is predeceased by her sister, Jean Mulpeter and three brothers, Francis, Raymond and Donald. The family would like to thank Irina Briksne, of Euro HomeCare, who took such amazing care of Elly the last months of her life. A Mass of Christian Burial will be celebrated on Friday, March 22, 2019 at 10:30 AM at St. Gregory Church, 235 Maltby Street, Bristol. Burial will follow at St. Joseph Cemetery. There are no calling hours. Funk Funeral Home, 35 Bellevue Ave., Bristol, will be assisting the family. In lieu of flowers memorial donations may be made to the Environmental Learning Centers of CT; 501 Wolcott Rd., Bristol, CT 06010. Please visit Eleanor’s memorial web-site at www.FunkFuneralHome.com.